Every day I travel on the Path train from Hoboken to New York City. For the past few months, I have noticed advertisements for an event called Cycle for Survival. 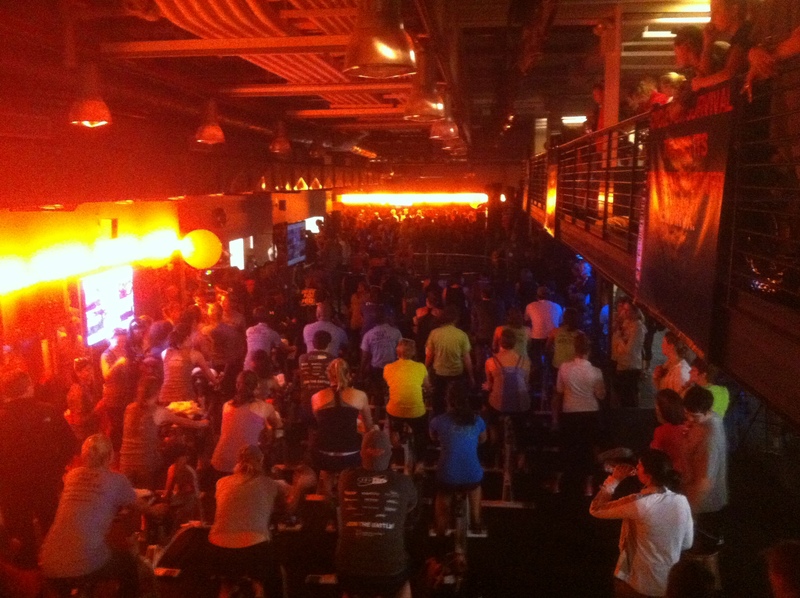 The event is four hours of spinning sponsored and held at Equinox Fitness Centers around the country. 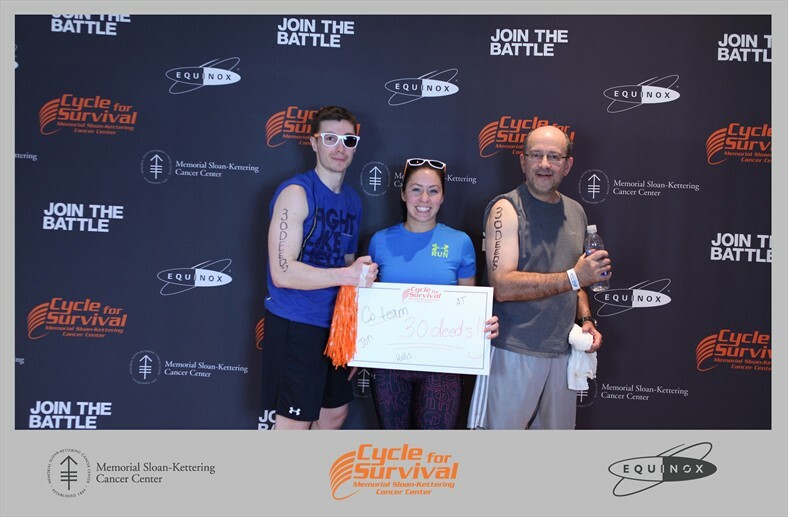 When you sign up for Cycle for Survival a webpage is created to allow you and your team to collect donations leading up to the event. All donations go directly towards Memorial Sloan Kettering Cancer Center to support rare cancer research. I participated in the event at an Equinox Fitness in NYC on Sunday, March 3rd. When you first walk into the room, you can feel the energy. Music is blasting, people are buzzing, 130 bikes are lined up and the room is lit up in orange(the official Cycle for Survival color). The event was kicked off with a touching speech from a cancer survivor before quickly jumping into spinning. In total, there were four 45 minute sessions which my team of three split up in 15 minute increments. For those of you that have done spinning, you know it is not a walk in the park. It was challenging but there was inspiration everywhere you looked. Between the speeches delivered by cancer survivors, messages on a board about who people were riding for, blasting high energy music, and instructors yelling, it was relatively easy to push yourself to honor those who have been affected by cancer. In all, it was a great event that I plan on doing again next year. My team was able to raise $1,760 while the event raised over 13.6 million dollars to date. Special thanks to my team and to those that donated as I could not have done it without your support.